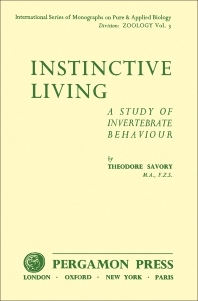 Instinctive Living: A Study of Invertebrate Behaviour discusses the behaviors of some invertebrate animals. The book is divided into nine chapters; the first two chapters discuss the active invertebrate and environment. Then, the text elaborates on the movement, kineses, and taxes of these animals, as well as their responses to stimuli. These mechanisms are known as reflex or reflex actions. The latter parts discuss in detail the invertebrate mind and behavior. This text will be invaluable to zoologists, general scientists, and those interested in studying animals, specifically the invertebrates.